Native to drier regions of western and central Asia. 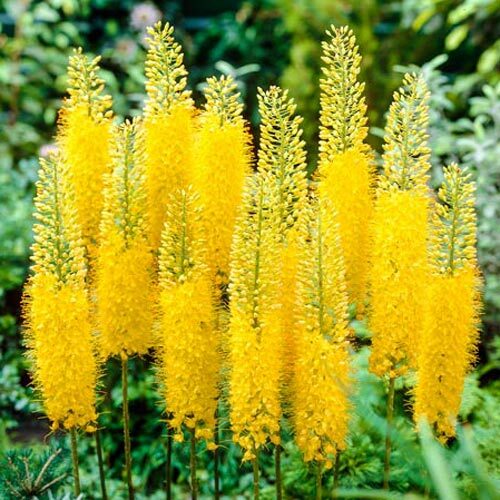 All foxtail lilies have a compact root, strap-shaped leaves and hundreds of small, individual flowers. It is one of the most colorful tall flowers available. They bloom for 10-15 years without dividing. Very large flower spikes containing numerous florets.